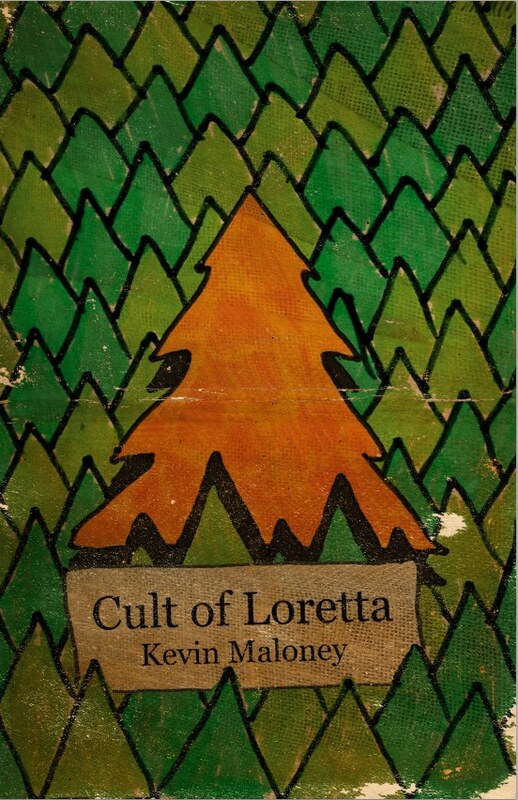 Kevin Maloney is the author of the novel Cult of Loretta (2015), which centers on a fictional drug that blends the eye-opening properties of psychedelics with the depressant effects of heroin–and stranger elements sprung from its creator’s imagination. An excerpt from Cult of Loretta appeared at Vol. 1 Brooklyn in June. Maloney’s short stories have been selected for publication in such venues as Hobart, PANK, Monkeybicycle, and Pamplemousse, among others. A graduate of Johnson State College with a resume that includes stints in teddy bear sales, teaching, apprentice electricianship, organic farming, and more, Maloney now works as a web developer when not writing. He lives in Portland, Oregon, with his partner and daughter. Two nuns and a penguin approach you at a bar, and you tell them you’re a writer. When they ask you what you write about, how do you answer? I’d say I’m a fiction writer working in the dark comic tradition of Joseph Heller, Kurt Vonnegut, and Louis-Ferdinand Céline. If the nuns and penguin weren’t familiar with those writers, I’d say that I write humorous stories about the wonders and horrors of being alive. Points is a blog primarily for drug and alcohol historians. What do you think this audience would find most interesting about your work? In my novella Cult of Loretta, the majority of the characters become addicted to a fictional drug called “screw.” The drug is an amalgam of substances, incorporating the otherworldly hallucinations of DMT with the addictive/destructive aspects of heroin. Specifically, screw makes its users believe they’re inside of their mothers’ vaginas, about to be reborn as butterflies. I utilized a fictional drug because I wanted it to serve fantastical literary purposes, not document an actual substance. From the ages of 18 to 22 I smoked a lot of pot and took psychedelic mushrooms on about ten different occasions. Compared to some of my peers, I was a lightweight. But those experiences served as initiation—not necessarily into adulthood, but into a stranger, more vibrant world than the one I was surrounded by in the suburbs. Occasionally we would go into the forest at night and smoke pot out of an apple. The whole thing had a fairy tale quality; we were like Hansel and Gretel, dropping breadcrumbs, not really sure we’d come out of the woods the same people that went into them. I’m interested in drugs as a rite of passage for a certain type of American youth. Other writers have done an incredible job chronicling the reality of drug use and addiction. I think of William S. Burroughs’ Junkie and Jim Carroll’s The Basketball Diaries. In my writing, drugs function primarily as agents of magical realism. I love the fantastical worlds created by writers like George Saunders and Karen Russell, but if I set a story in a supernatural reality, then I’m married to it for the duration of the work. Drugs allow my characters to move into and out of the magical world. To visit it, get lost in it, then come crashing back into their depressing lives. Drugs are an easy gambit for comedy. If the narrator gobbles up a pill and watches a neon centipede float through the air, it’s funny. I think I’ll continue to use drugs in my fiction, but as I grow as a writer I’ll probably rely less and less on them. Two of my favorite writers—Denis Johnson and comedian Louis CK—mention drugs in their work, but don’t depend on them. Denis Johnson’s “Emergency” would still be funny even if Georgie wasn’t high. The comedy is in the desperation of the characters. Their sadness and almost ridiculous hope for a better life. BONUS QUESTION: Let’s hope that Cult of Loretta gets made into a major motion picture. If you have your choice, which is it, and what song do you fantasize about hearing as the credits roll? 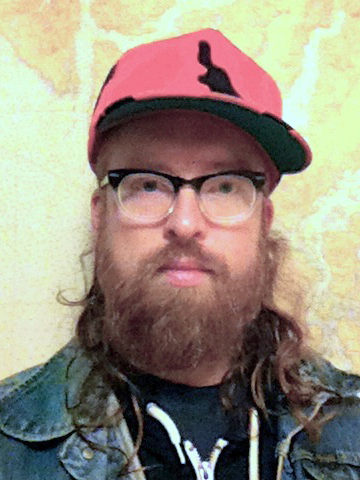 To witness more of Maloney’s soundtracking skills, check out his July Mixtape at Electric Literature.